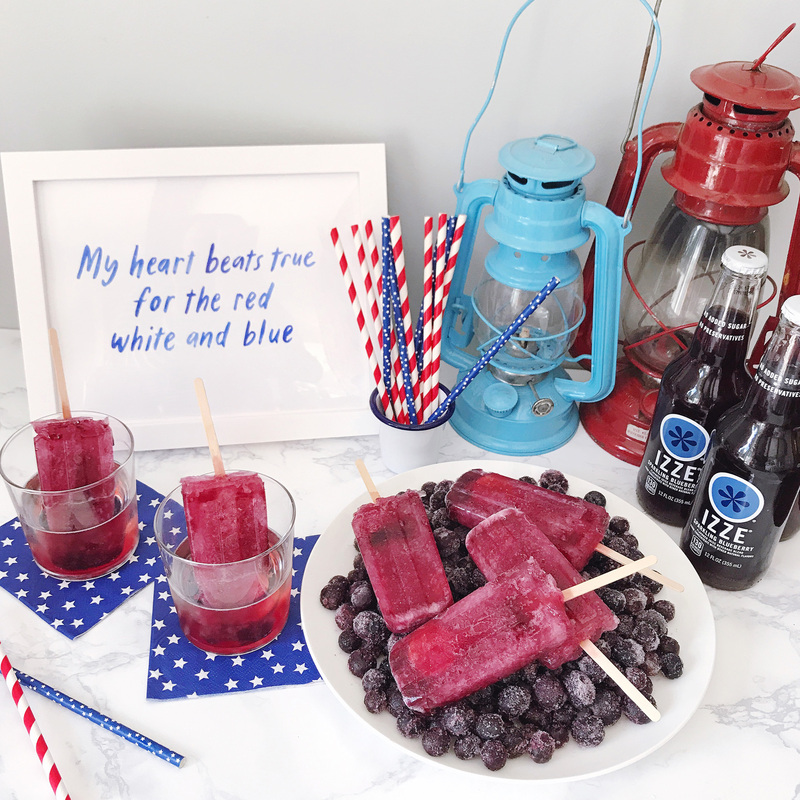 Fourth of July Popsicles and Prosecco. 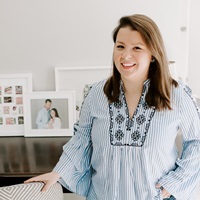 I am eagerly watching the weather for this holiday weekend and crossing my fingers for beach time and sunny walks and of course some cocktails on the porch. 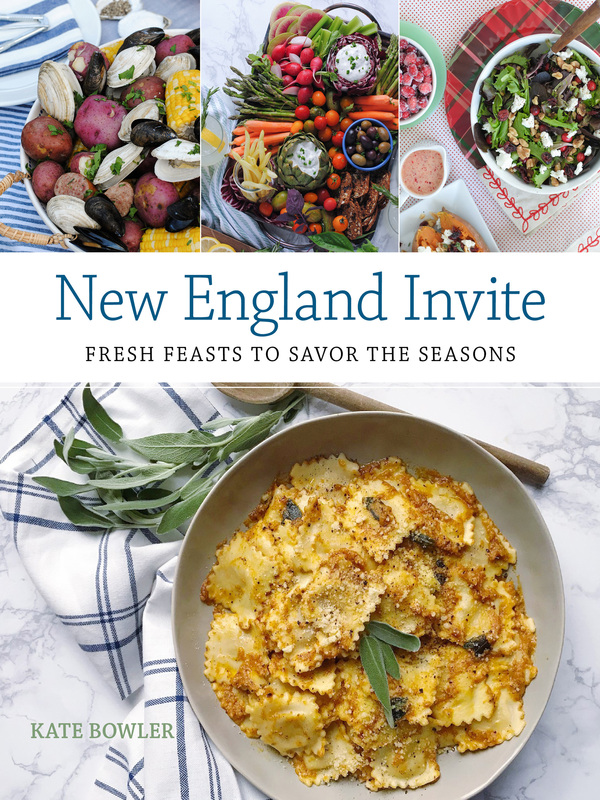 It looks like we may get at least one day of that perfect summer weather and I’m preparing for some friends to stay over with a few fun celebratory details. 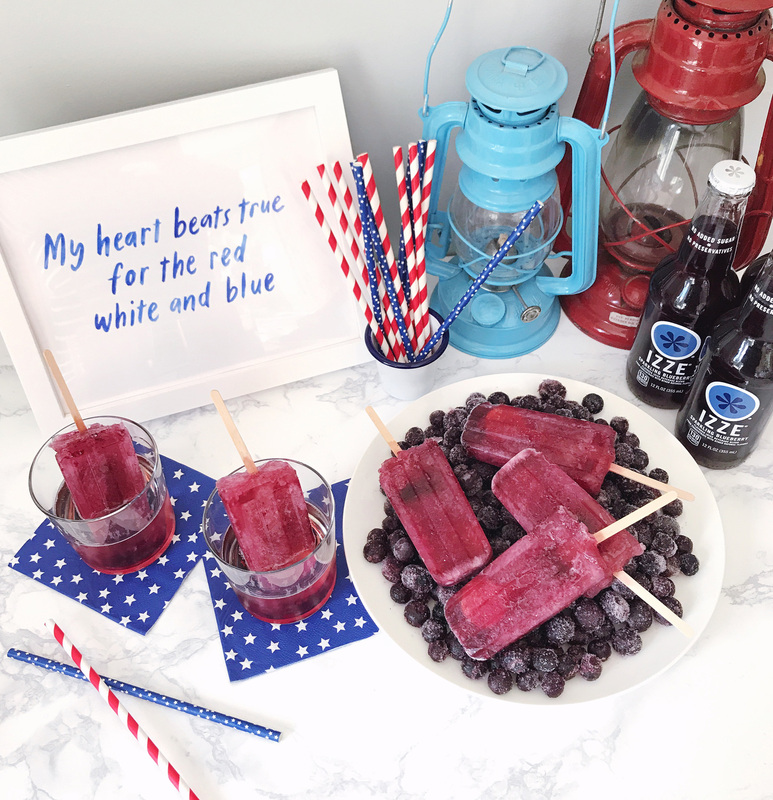 Among them is a little icy treat to keep us cool – some blueberry popsicles made with IZZE sparkling blueberry. 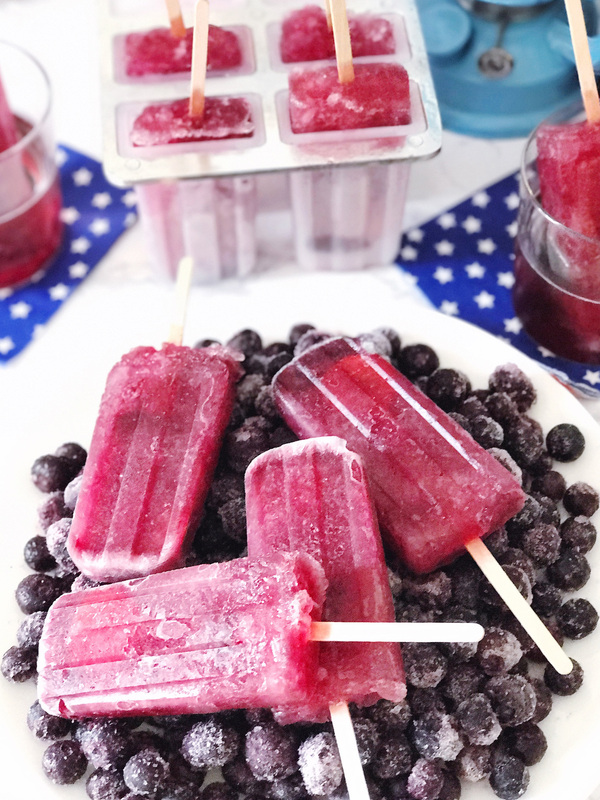 I dusted off my popsicle mold and poured blueberry flavored IZZE into each slot with the intention of creating a flavor popsicle that is the perfect berry tone. 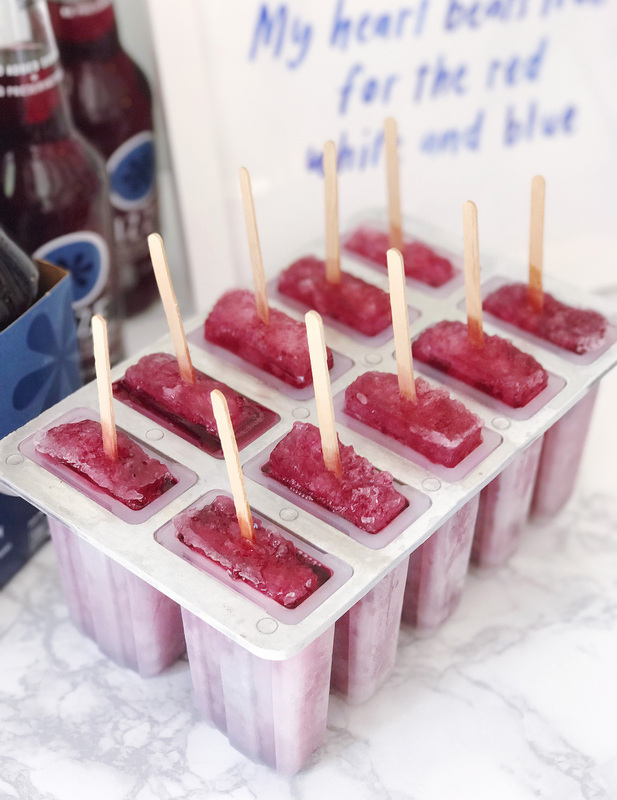 It’s also going to stain your mouth way less than a blueberry puree, so I’m a big fan of this option for getting the blueberry flavor without the mess! After a few hours in the freezer they are ready to serve – as easy as that! To serve them I had the fun idea of laying them out on a tray of frozen blueberries (which I have my freezer stocked with for blueberry cobblers over the summer!). 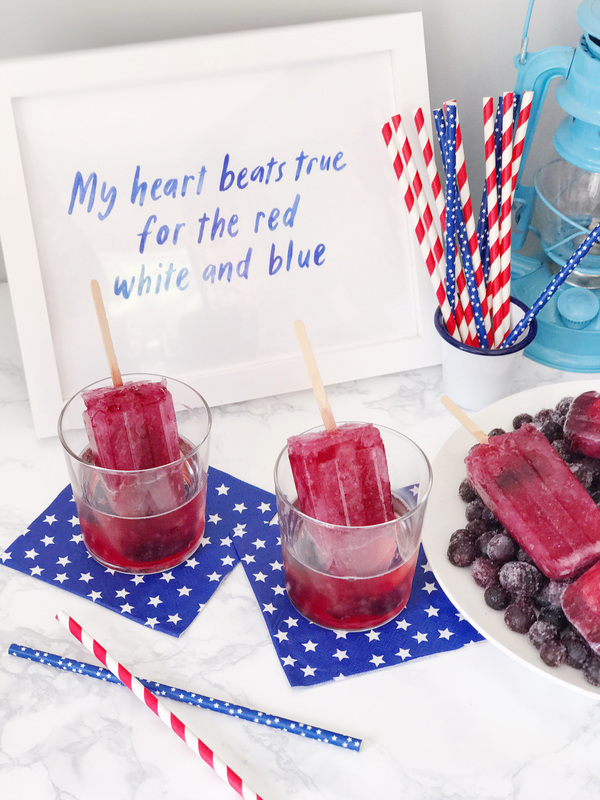 It keeps them cool for a few minutes while you’re passing them out to guests and looks so very pretty with the blue and berry tones popping off a white plate. Everyone can partake in the popsicles after a day at the beach (Jane even had a few licks of one of these when I was testing them and loved it, it’s so cute to see her face when she tries cold things!). 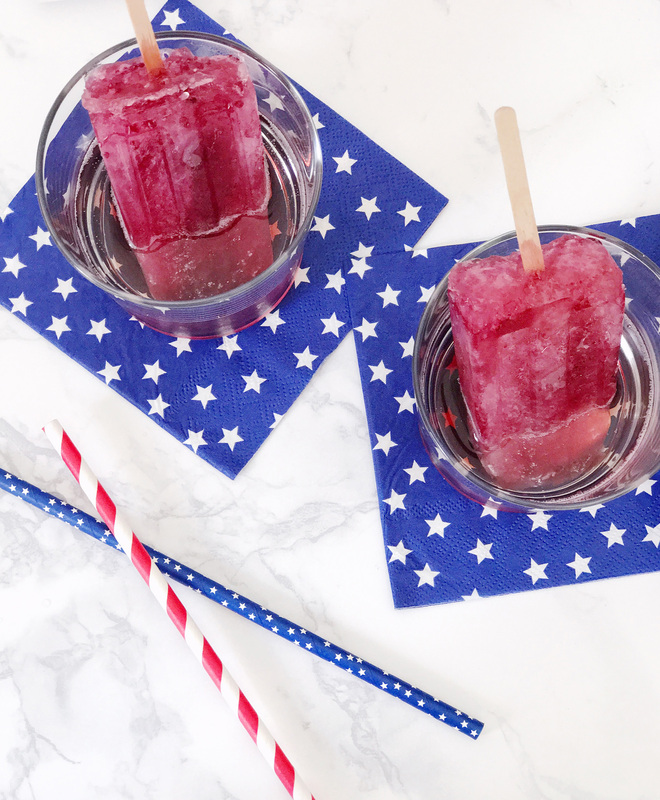 For the grown-ups though, after chasing kids on the sand, we need a little kick for our pops so I poured a few glasses of prosecco and dipped the popsicles right in there. It makes an icy cold drink and a dessert in one! 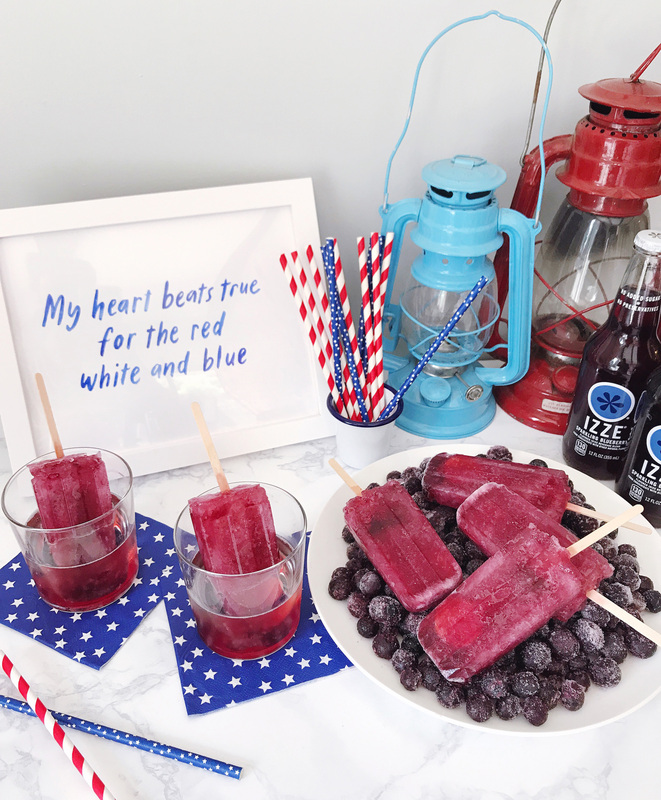 What are your Fourth of July plans? 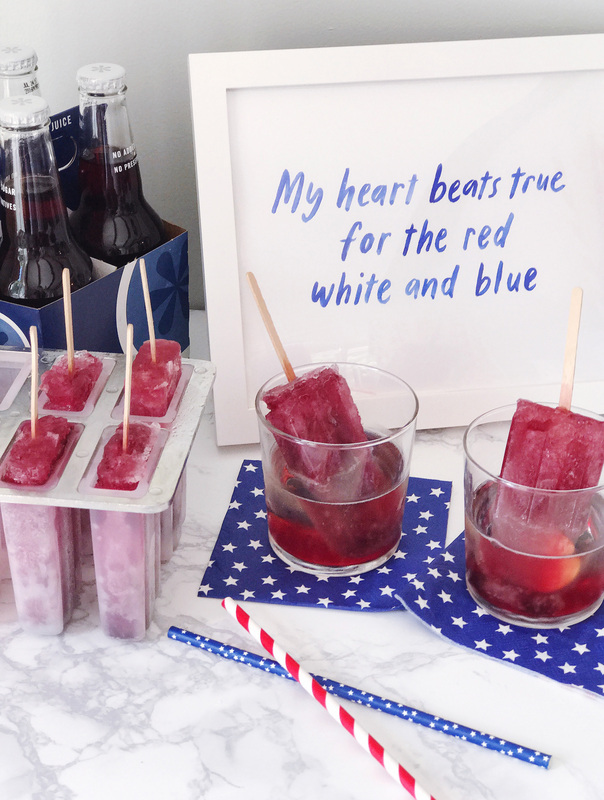 I hope they include popsicles and prosecco just like mine! 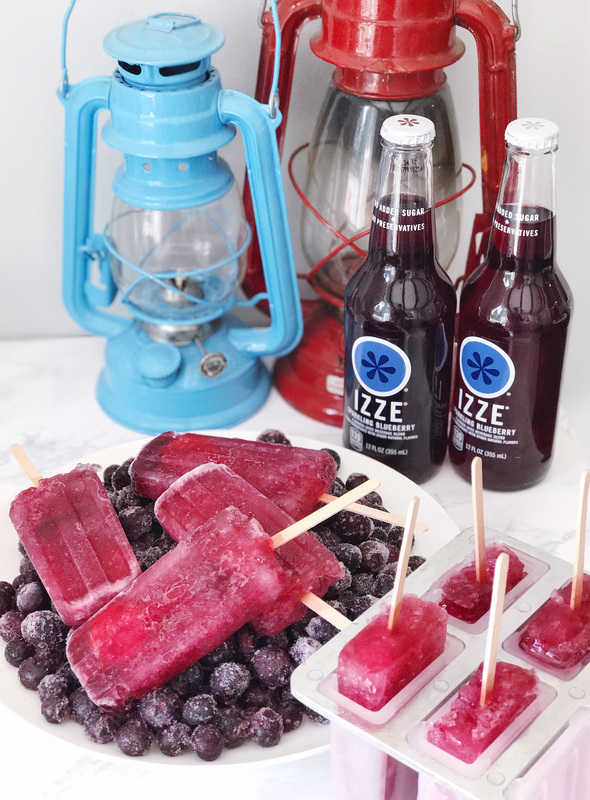 Please note: This post was created in partnership with IZZE; please drink responsibly. All opinions, ideas and content are my own.